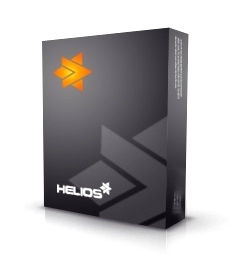 Helios Orange is the ERP system designed for small and medium enterprises. Besides standard modules: Economy, Business, Human resources, CRM system Helios Orange provides also special modules: Stock records, Manufacturing software and other modules based on customer needs. This system has been developed for more than 20 years and has always been based on valid Slovak legislation. Our customers appreciate simple, user friendly environment, managers particularly - a wide range of data presentation. The system consists of modules, each module covers specific activity of the company (e.g. Manufacturing). The modules have been developed as flexible as possible, so the customer has the possibility to take only what is really needed in the company. We analyze information requirements, provide consulting and help with the selection. Cooperation with the Microsoft provides fast access to new technologies and Windows/MS Office interface. Microsoft SQL Server is exclusively used as a database service. We analyze if your hardware and software meet the minimum system requirements, eventually suggest changes. Are you interested in free of charge presentation of Helios Orange or more information? Contact us today. We will be pleased to help you.